Revenue for the US restaurant industry was estimated at $799 billion at the end of 2017, up 1.7 percent from the previous year when adjusted for inflation. Of this $263 billion ascribed to full service restaurants and $234 billion to quick service and fast casual (the major growth sector). The restaurant industry is projected at nearly flat growth in 2018 as the unemployment level and disposable income is largely unchanged and same store sales continue to decline on average -1.1 percent. A restaurant business loan can provide you the financing needed to ensure success in this challenging industry. 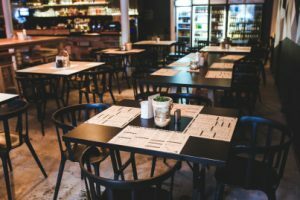 Financing for a restaurant or bar can be difficult due to the nature of the business and a traditional lender’s uncertainty about lending to what is considered a high risk sector of the hospitality industry. As a result, a traditional lender will require a solid business plan, plus years of financial and credit history together with asset collateral to decide whether it is a prudent financial risk to extend a restaurant business loan. 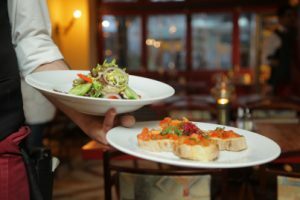 Often a traditional restaurant business loan will require a minimum of two to three years of successful operations to be considered. The good news is that a restaurant business is no longer dependent on traditional financial institutions. Nexus Financial Services offers restaurant business owners alternative financing options, like a small business loan and a merchant cash advance, to allow owners the capital they need to strengthen their business and take advantage of new opportunities.